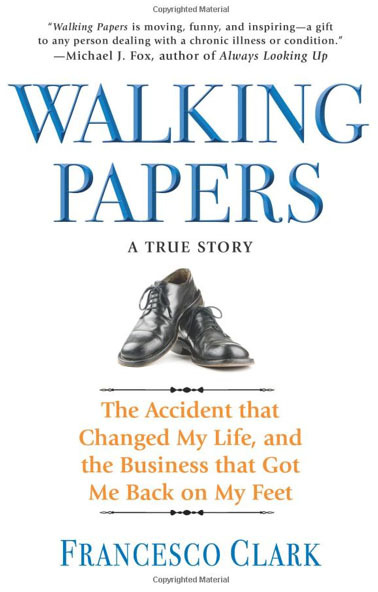 I just finished reading a new book: “Walking Papers: The Accident that Changed My Life, and the Business that Got Me Back On My Feet” by Francesco Clark. It may be ill-timed or perfectly timed, I haven’t decided yet. It’s a memoir about a young guy–athletic, a runner–who dives into a shallow pool and becomes paralyzed. Reading that quote in the foreword of the book really struck home for me. It’s easy to take things for granted. I do not take running for granted and let me tell you why. Before I ever decided it was time to lose weight, I had a number of really bad ankle injuries. My whole life I had weak ankles and was always rolling them. It wasn’t really a big deal as a kid–a few days of limping and then I was okay. I sprained my ankle many times. When I was 19 I fell down the stairs and sprained my ankle so badly the doctors thought I broke my leg. Long story short: I was on crutches for almost two weeks and could barely hobble around. I did not know it but my ankle ligament was barely holding on by a thread. 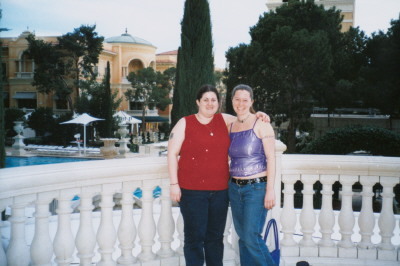 I went to Vegas for the first time with my cousin Anna two weeks before my surgery. I had ankle surgery when I was 25. I’d never had surgery before. It was a scary, horribly painful experience. 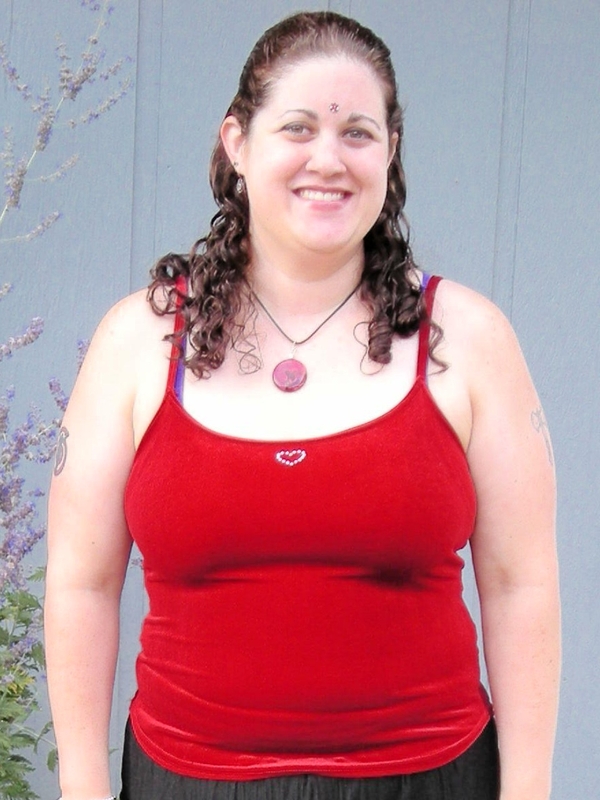 I was about 220 pounds at the time, not in shape at all, and being heavy put a lot of strain on that ankle. Surgery was 100% necessary. The doctor took pictures of the inside of my ankle and he said if I had sprained it one more time, the ligament would have completely severed. OUCH! I woke up in the recovery room feeling like an elephant was sitting on my leg. I was able to go home that day once the drugs started to wear off. My mom came down to Portland to take care of me for two weeks. I could not move from bed. I was in a plaster cast and was not allowed to put any weight on my leg. I had to hobble to the bathroom on my crutches. My mom had to help me shower. After a few weeks I got a new cast: fiberglass. I was allowed to walk on it SORT OF. It was still hard and I couldn’t put all of my weight on that leg. A few months later I got the cast removed and was in a full leg brace up passed my knee 24/7. Months later, I got a smaller brace. Months later after that I was downgraded to just wearing an ankle wrap. It was about 9 months before I could walk without any help or support. I did physical therapy (but not enough and I still regret not being diligent). My journey to losing weight was a hard one but I got there. I recently wrote a post about Why I Run. The conclusion was: because I CAN. Because I never could before. Because I overcame a lot of challenging things: like being in a cast for months…like not being able to really walk much for 9 months. So yeah–being ABLE to run means a lot to me. Being able to run is EMOTIONAL for me. It’s not easy for me to “take a break” or stop running. I am choosing to see things in a different light. I’ve had a good year so far. 250 or so miles. That screen shot was taken a few days before Hood to Coast so those numbers aren’t entirely accurate. QUESTION: How do you change your perspective to the positive? Love this Lisa. I think we lived parallel lives with our ankles. I can’t tell you how many times I’ve sprained them and a few times had to have them casted because it was so bad. But it’s the set backs that show us what we treasure most. 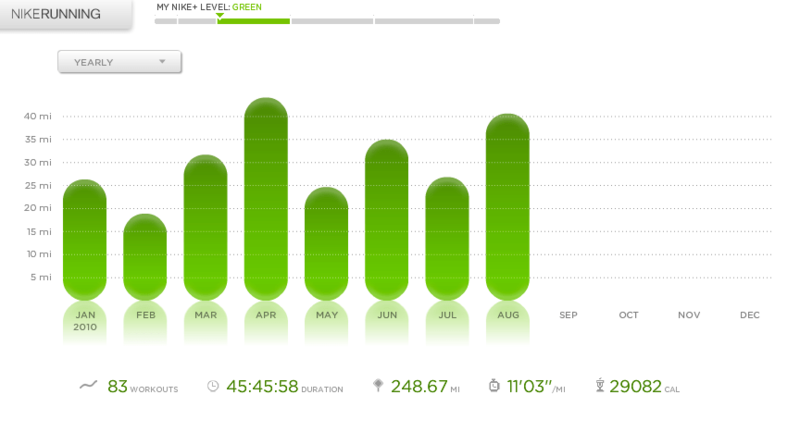 Running is like a moving testament to my health now. Some people get it, some don’t but as long as we do, that’s all that matters. Very well put! Being able to do activities are a testament to my past and how far I’ve come. I love it! Wow – Of course, I’m always impressed by you, but I had no idea that you had become a runner after all that! WOW! We are living in gratitude over here, no matter what. There always seem to be little reminders of how fortunate we really are. Loved this post, you hit so many key points with me, but especially that of changing perspective. It’s something I remarked offhandedly in a couple of my own recent posts: I force myself to remember that my kid will grow up too fast so savor the moments –even those “let’s play Barbies, mommy!” moments. That I am lucky to live by the beach so take a moment every day to LOOK out at the water and appreciate it. That my body carries unattractive layers of fat, but it still carries me accross a finish line. Every negative can be spun into a positive. It’s all about perspective. That’s so refreshing Irene! Thank you! And YES our bodies do amazing things that we sometimes don’t notice (or appreciate) until we can’t do them anymore. What a wonderful post 🙂 Thankyou for sharing your story with us. And that sounds like a fantastic and inspirational book! Wow, sounds like a really moving book, going to add that to my “to-read-list”. Thanks. How do change my perspective to positive? Hmm, that’s a challenge we all face I think. There’s days when I’m on top of the world, and there’s days where I lose sight of that positive energy. It’s hearing/reading stories like these that redirect us back to the positive I think. It was a really good read, I recommend the book!